Change activists or communities? A revealing difference. Where are change activists effective? A change activist (or agent) is a type of rebel in the work environment. I’m not talking about people appointed by management to bring about change such as a Director of Change. Instead, I’m referring to those unofficial, usually unrecognized people in organizations who see that something needs to be changed and are doing something about it. Change activists play an especially critical in organizations with one or more of these characteristics, which in fact are often found together: (1) highly centralized, (2) very closed —with little awareness of the external world, and (3) low digital maturity. In highly centralized organizations and in very closed organizations, change activists are needed to make things happen. The internal change activist is rated at the top of the list of change influencers at the same level as behavior of colleagues and peers. Unlike decentralized organizations where people have more autonomy and greater freedom in their work, people in centralized organizations need change activists to push for change. In closed organizations, with little awareness of the external world, internal change activists are the top change influencer, followed by a sense of why and behavior of colleagues. The more digitally mature the organization, the lower the need for change activists. 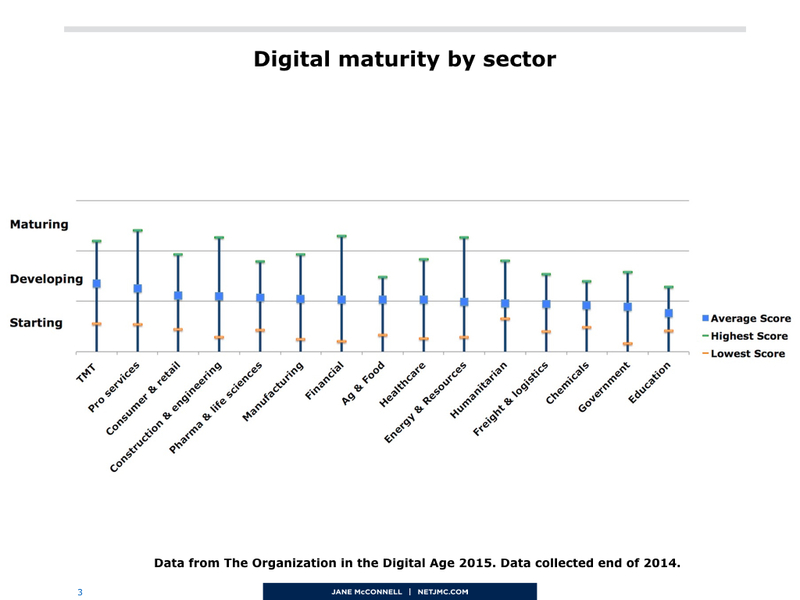 Change activists are low on the list for TMT, the highest digitally mature sector. However in the professional services sector, in spite of being the second highest digitally mature sector, change activists are cited by well over half the organizations as having significant impact on change. 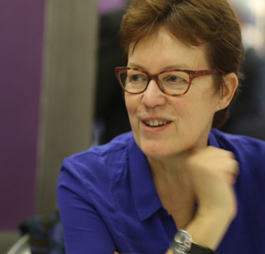 How can professional services, a digitally mature sector, be so dependent on change activists? Because, in spite of it’s digital maturity, the professional services sector has something in common with government and education: a relatively closed work culture. 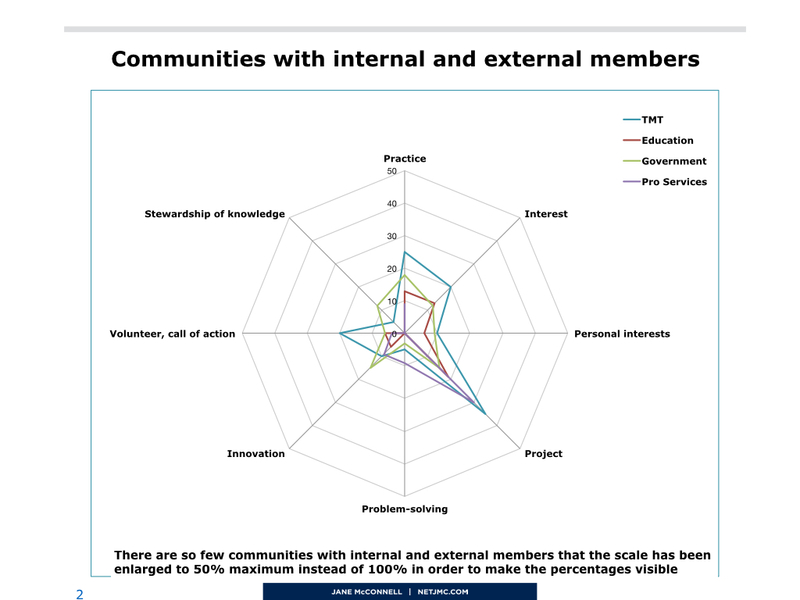 With the exception of project communities, professional services have practically no cases of communities where both internal and external people work together. Perhaps this is not surprising in such a competitive environment. We can conclude that communities are powerful vehicles for stimulating evolution, but not in all cases. 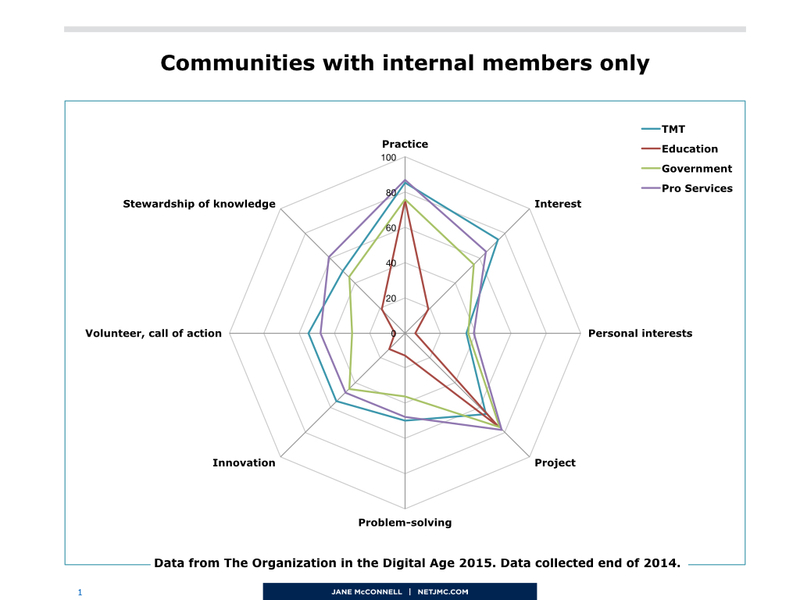 What we learn from the professional services context is that the existence of communities is not sufficient to stimulate change. If they are primarily closed upon themselves, useful as they may be, they are unlikely to be effective as vehicles for change. Previous PostDoes knowledge walk when people walk?